Kick off this month with a cute new calendar! Our design team will be releasing monthly calendars available to print in full color or with minimal color, to suit your needs and style. 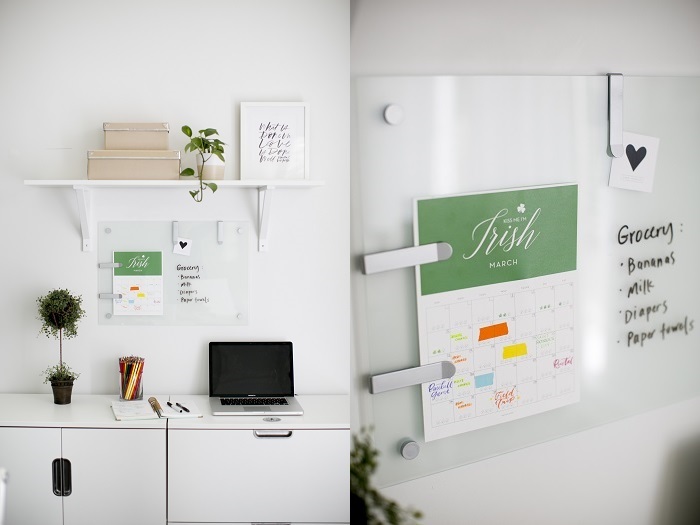 These calendars are clean, modern, and perfect for planning your months with effectiveness! 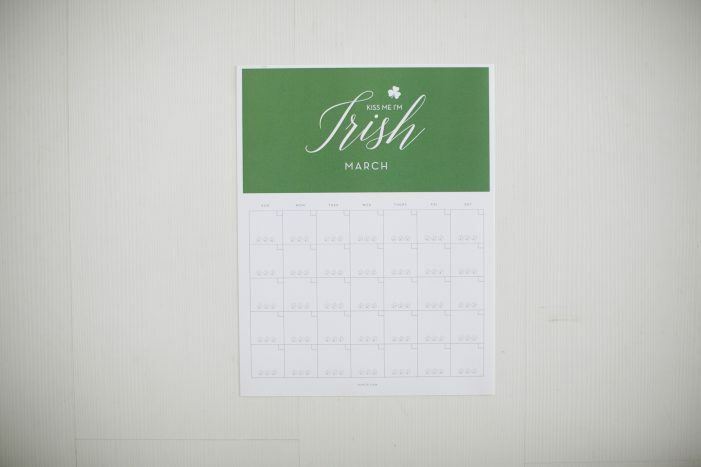 Printable March calendar available in green or white. 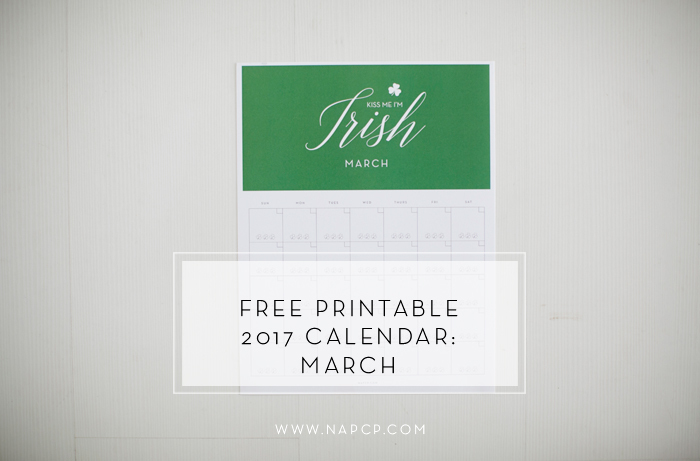 Our FREE March calendar printable is available in glorious green or in a more minimal white. Click here for the green printable. Click here for the white printable. 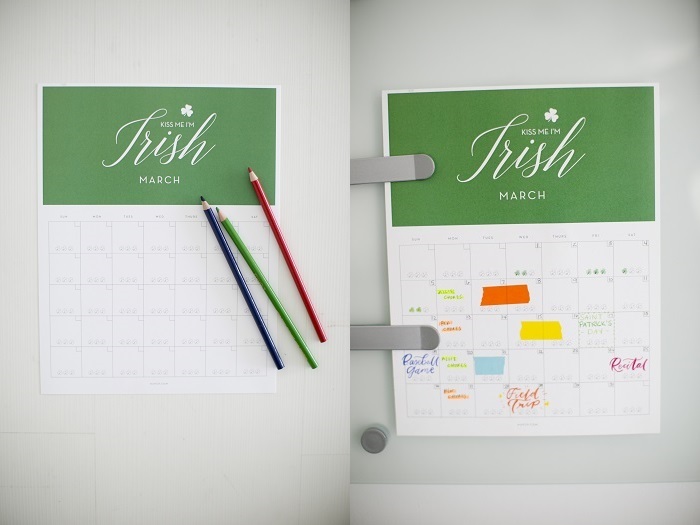 Our favorite thing about this calendar is the detail of the little shamrocks. The possibilities for these charming small sprouts are endless. Drink more water! Color in a shamrock every time you drink 16-20 ounces of water. Three filled shamrocks means you’ve met the most common recommendation for daily water intake! Reading log. Have younger children check off a shamrock for every 15-minute reading session they complete during the day. Meal time. Picky eater? Offer the reward of coloring a shamrock for each meal eaten in full/in a timely manner/without complaint. 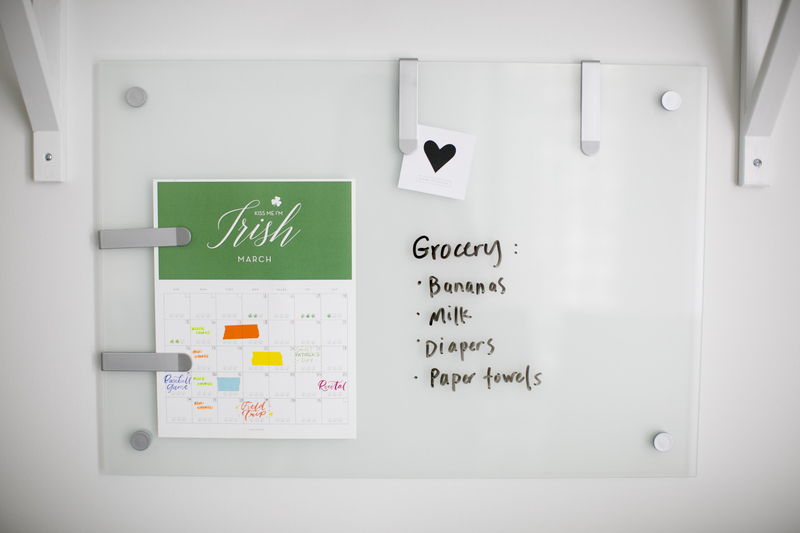 We also love the idea of using stickers over your shamrocks! Be mindful. Set aside 2 minutes now and then throughout your busy day for deep breathing, meditation or prayer, or even a simple step outside for a little vitamin D and fresh air. After-school checklist. For example: 1. Empty backpack of forms, flyers, and other papers. Hang up or put away backpack. 2. Homework. 3. Make sure backpack is ready to go for tomorrow. Workflow. Busy? One shamrock for each session culled and/or edited every day. Share your shamrocks with us on Instagram by tagging #napcp! Looking for more to help you keep things running smoothly and get your family coordinated this year? These calendars won’t be the only item we share with you. Check back here on the NAPCP blog for a coordinating printable, coming soon. Video Interview with Emily Ley!